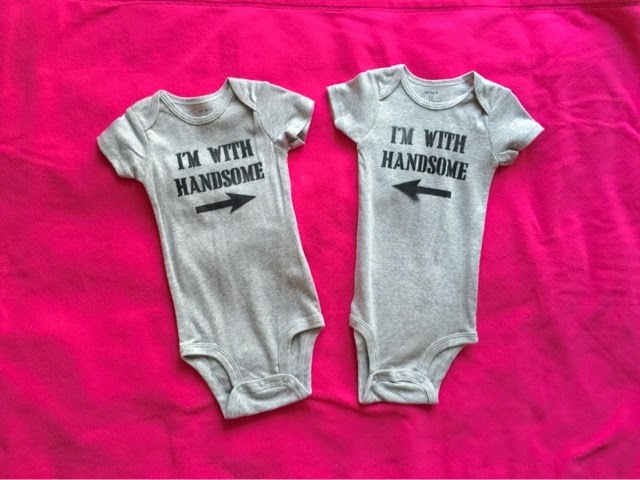 Making onesies is so easy and fun. 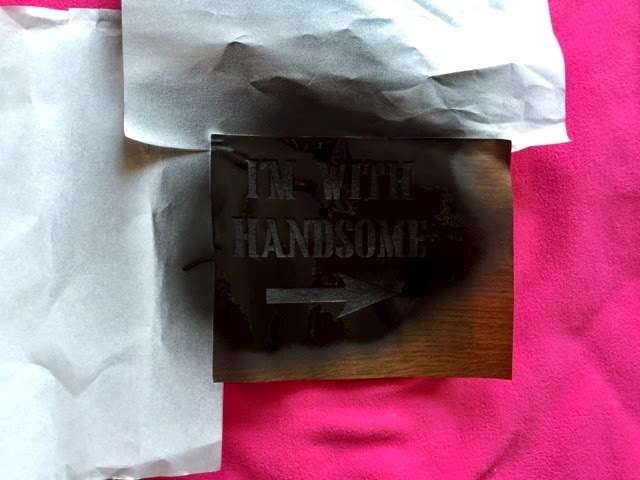 I made these with spray paint and my Silhouette cutter. 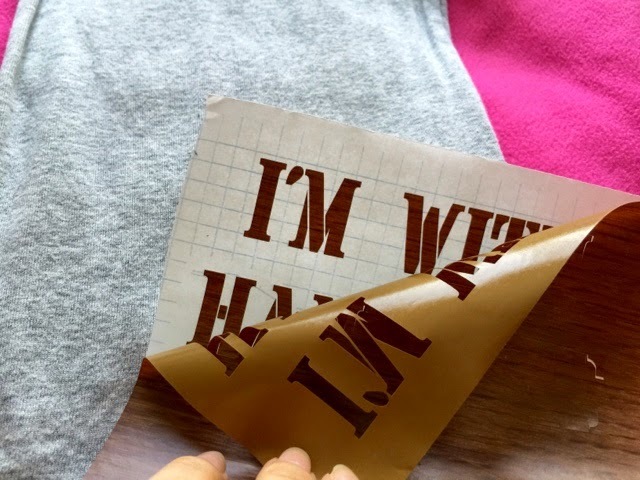 If you don't have a cutting machine you could buy sticker letters and make a negative space image (tutorial on that coming in the future). 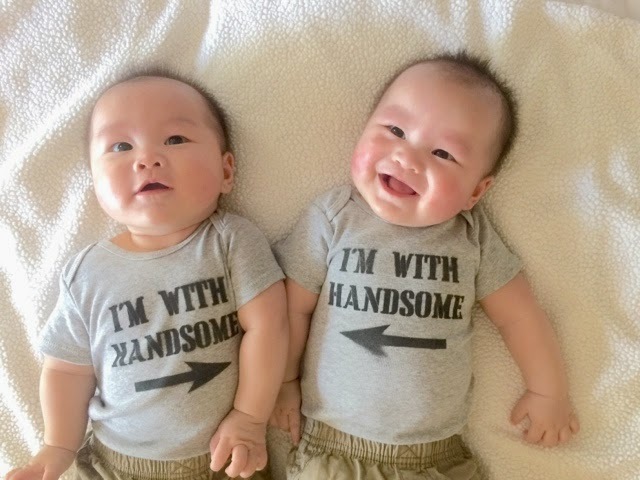 I made these "I'm with handsome" shirts in less than an hour. The hardest part was remembering how to work my Silhouette (its easy to use, but for some reason I always mess up the first cut). Cut out the pattern onto your vinyl with your Sillohette or Criket machine. You do not need to use expensive vinyl, I used contact paper from the dollar store. I used a stencil font (Cargo Crate) found on dafont.com. Stencil fonts are easier because it keeps the holes for the letters attached. 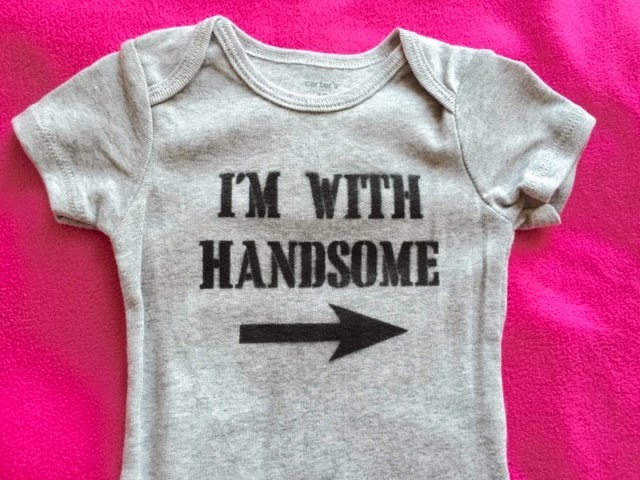 Stick the vinyl onto the onesie. Make sure it is stuck on well. You can place a cardboard inside the shirt for stability. I used Black Kryon Spraypaint, it wasn't fabric paint, just paint from the hardware store. From Krylon's website you can use their paint on fabric and it is non toxic when dry. Iron the words to assure that they are heat set. 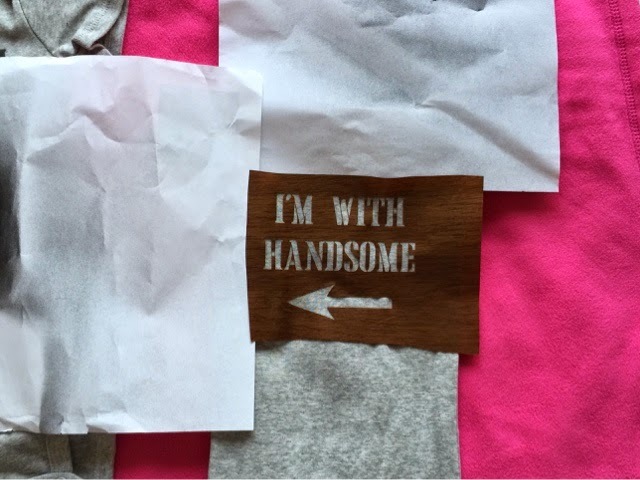 You could use the same template for the other shirt and cut the arrow out reverse the arrow. I just cut out a new template. Wash one more time before wear. This was such a fun project. You could use fabric spray paint, or I have another tutorial out there where I used acrylic fabric paint. 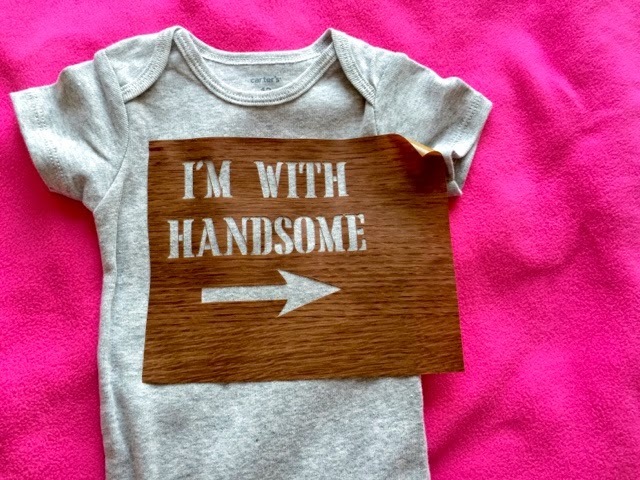 I made a "No One Puts Baby In the Corner" Dirty dancing onesie. 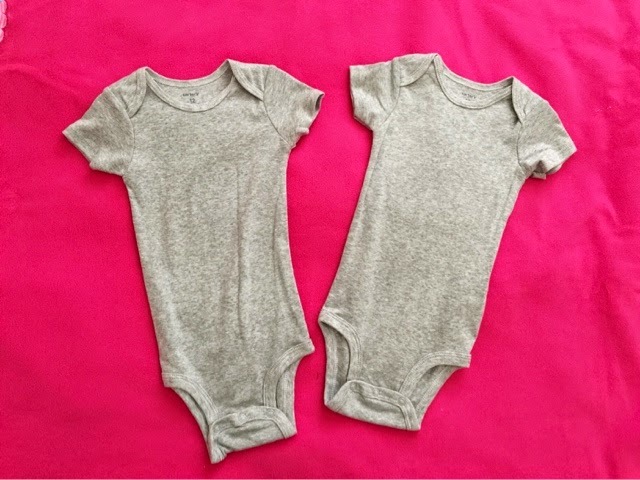 Here is the Dirty dancing onesie. Tutorial here. Do you remember Spirograph? I loved this toy as a kid. A few years ago I tried to look for a Spirograph for my daughter, but I realized they discontinued it. The only ones I could find were vintage ones from ebay. But recently I just found out they brought back this classic toy. My friend bought the Spirograph Cyclex for my daughter and we just love it. 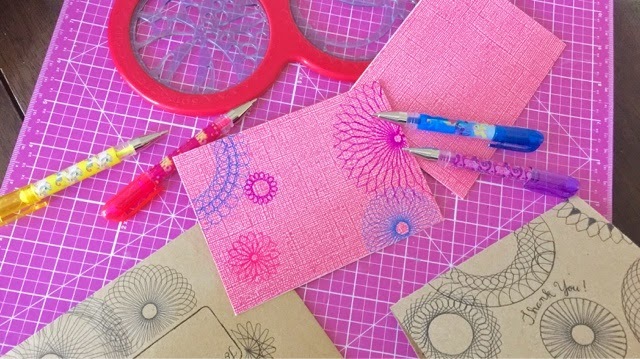 It is easier to use than the regular Spirograph and the patterns are just as cool. 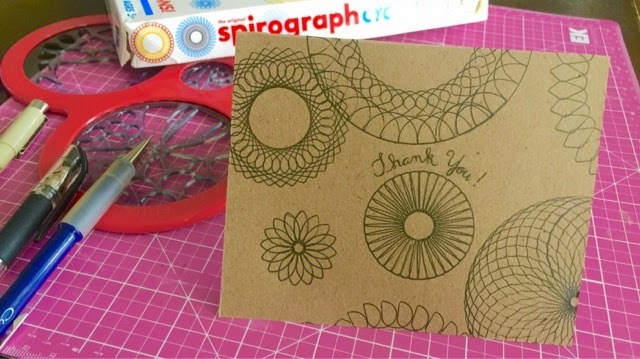 Below is a video on a few thank you cards I made using the Spirograph. I have a few other craft projects in mind for this Spirograph, so stay tuned! 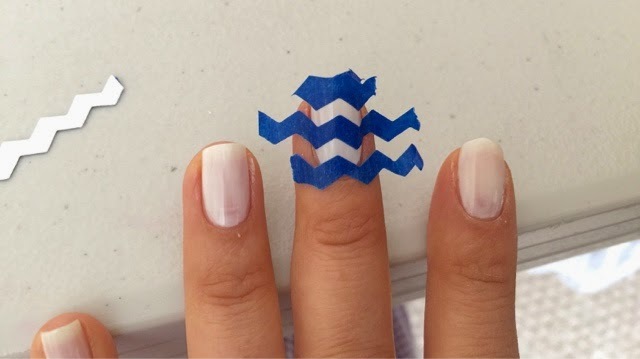 Here is an easy trick to get chevron nails with supplies you may already have in your craft drawer. I love using things I have around the house off other purposes. 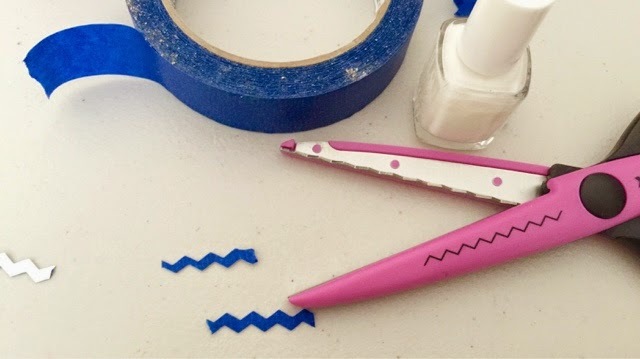 These zig zag craft scissors are a perfect way to make a chevron nail template. 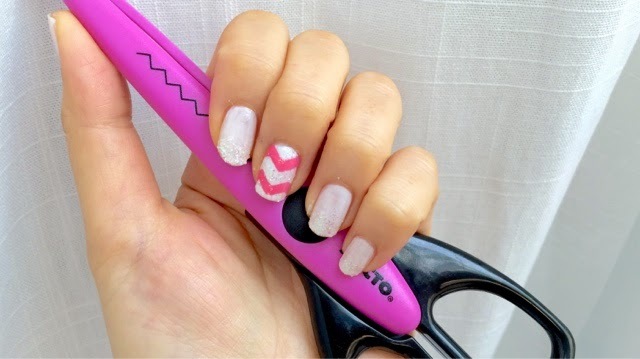 To make this nail pattern all you are going to need is zigzag or pinking shears. In case you aren't familiar with the term pinking shears are scissors that you use to cut fabric in a zig zag manner so it doesn't fray. 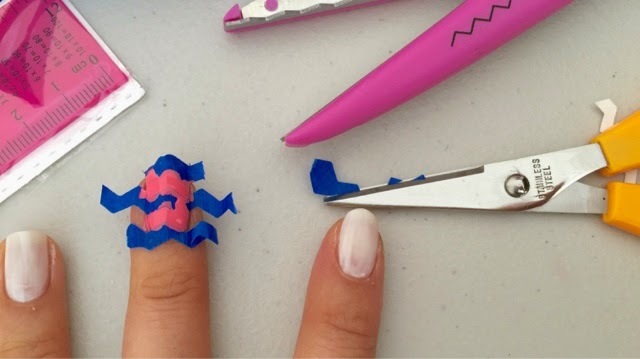 Cut tape with sissors to make zig zag shape. I used painters tape, but you can use scotch tape too. Paint your nails with the under coat and let completely dry. 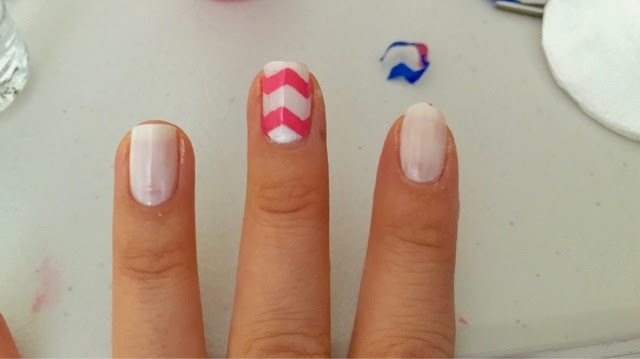 Place your chevron pattern stickers on nails. Here is a handy trick that I learned when painting my walls with stripes. Before you paint on your color, paint on a thin layer of clear or the same color as your base coat. This will prevent the color from seeping though the tape. Then paint your color pattern on. I added some glitter to the chevron polish, but you can just leave it as is.